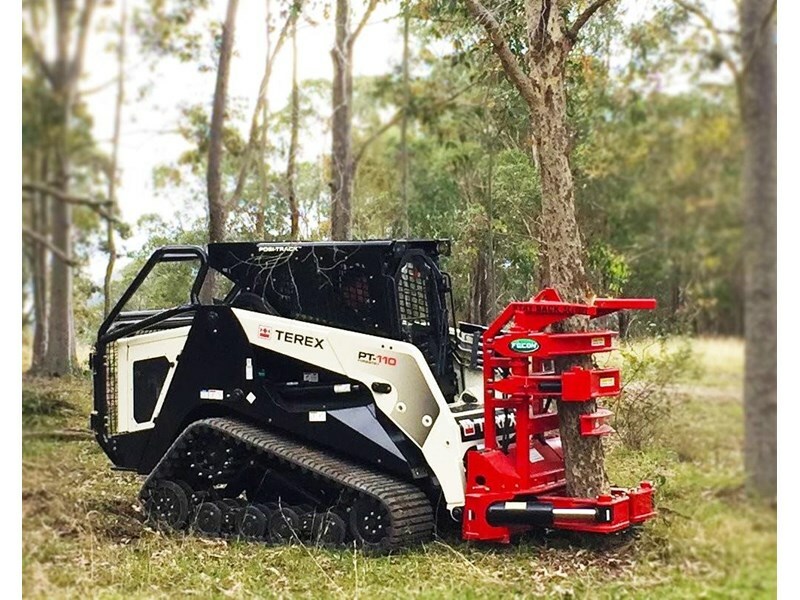 Fecon Skid Steer Tree Shears & Excavator Tree Shears are perfectly designed and constructed to nimbly shear, lift, bunch, and carry multiple trees with a single attachment. - Ideal for reaching up and down slopes and areas that are otherwise inaccessible. - High quality AR400 Shear Knives. 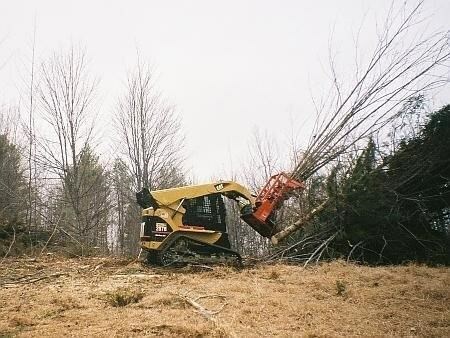 - Perfect for thinning and fuels reduction. - Strong, lighter weight frame. 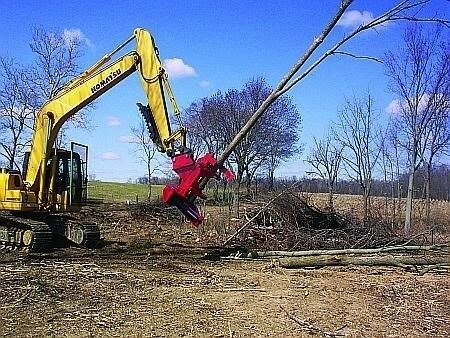 For excavators, Fecon now offers the Fecon Rotating Shear (FRS) which gives excavator operators the advantage of 360 rotation of their tree shear. 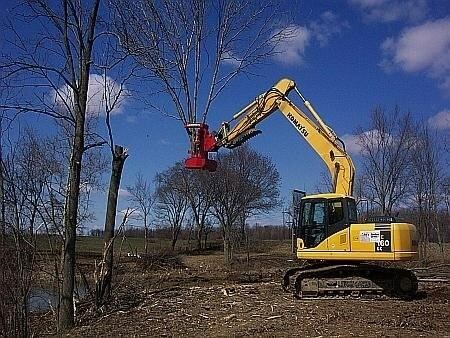 Allowing more reach and access to trees with less repositioning of your machine. Whether you are thinning trees, felling or doing road side clean up; the FRS will get the job done faster! 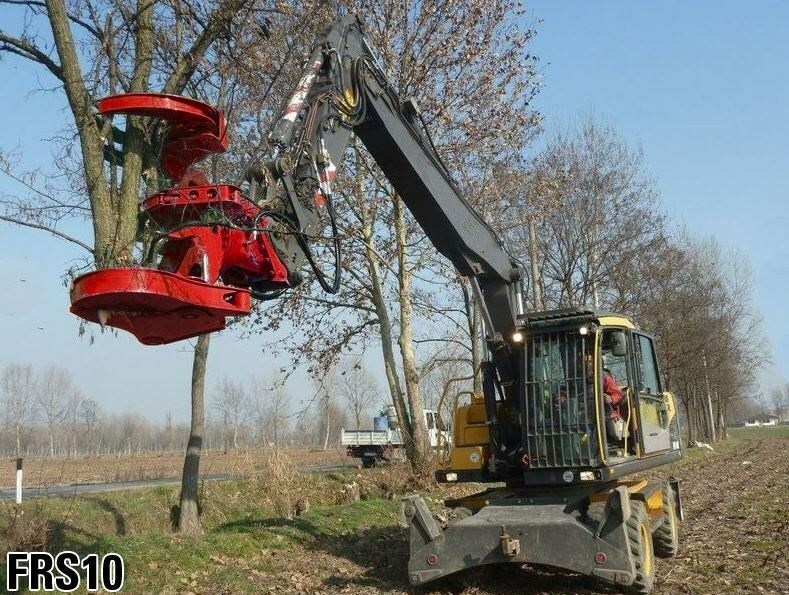 With cuts up to 500mm in diameter, theres an FRS Tree Shear for your job. 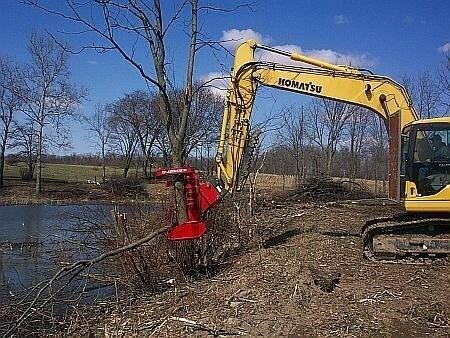 All models are provided with the H style mounting bracket and bolt-on hanger bracket fit to the excavator. Each model is equipped with heavy-duty cylinders and rods to provide strong shearing action and faster cycle times. They also have a strong yet lightweight frame, fitted with adjustable AR400 steel knives to provide you with efficient cutting in a durable tree shear. 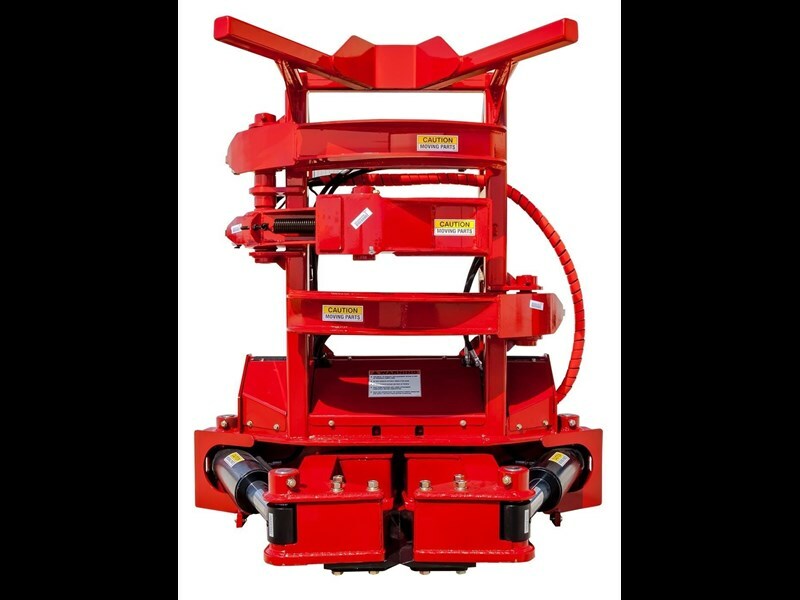 Fecon Tree Shears for SSLs, CTLs and other hydraulic machines are equipped with heavy-duty cylinders and rods to provide strong shearing action and faster cycle times. They also feature a strong yet lighter-weight frame, fitted with adjustable AR400 steel knives allowing you to grab more trees with a lower ground PSI. 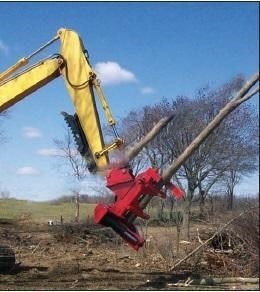 The dual knife action feature provides a more positive cut while maintaining the tree central to the shear and carrier.